At INTRAsystems, we have a wide variety of Barrier Matting products on offer. From our INTRAflex XT which is our flagship heavy duty aluminium Barrier Matting to INTRAform FR which is a specialist Barrier Matting for high fire risk areas, we have a product to suit every scenario. We provide different styles of Barrier Matting which can be used within a Zonal System, ensuring a consistent design and optimum efficiency throughout your building. 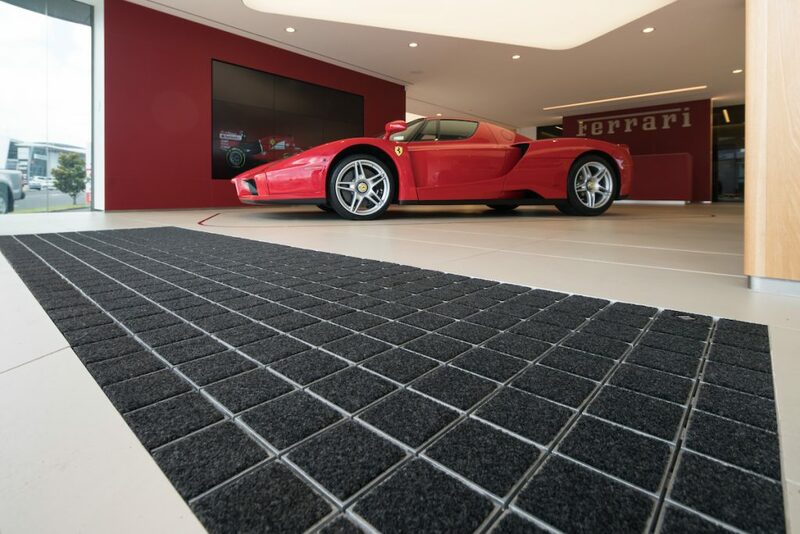 Browse our full range of Barrier Matting products here. Not only do we offer one of the most diverse ranges of Barrier Matting on the market, we also provide a full installation service which ensures your Barrier Matting has been installed to the highest of standards. We can advise on the best layout and design to suit your building and follow strict processes to ensure the Barrier Matting has a long life. We also offer advice on aftercare and maintenance to all of our clients and are only one call away if further advice is needed. For further information on any of our products, or to find out which one would best suit your building, feel free to contact us today or browse our FAQ page. Or if you want to find out more, take a look at our case studies or order a sample today.